Old Location: I decided to move this hive to a more sunny location in hopes to keep the small hive beetles to a minimum this year. 1) Wait until dusk or night time to ensure all bees have returned to the hive. 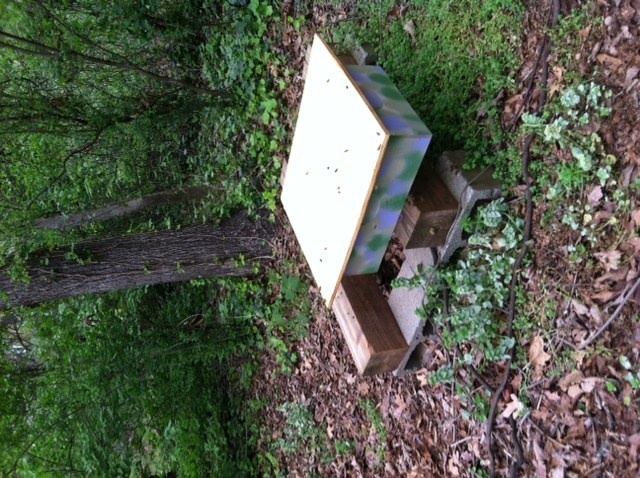 2) Move hive to desired location. I used screened wire to cover the front entrance. Once I got it in place, I removed it. 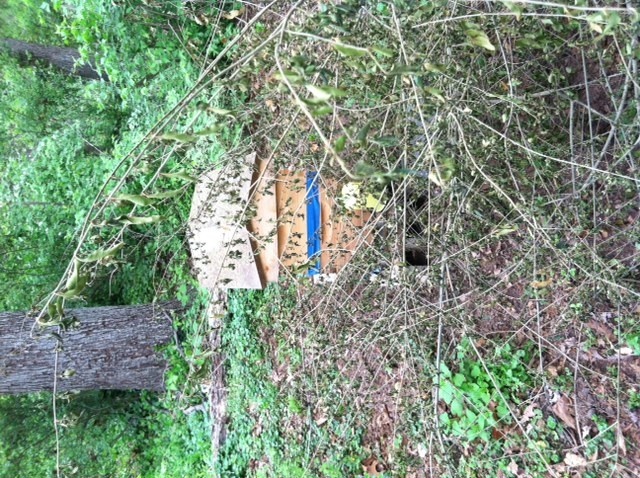 3) Once at new location, make sure to obstruct the hive’s entrance using a few twigs and mulch so that the bees will have to reorient themselves to the new hive location. 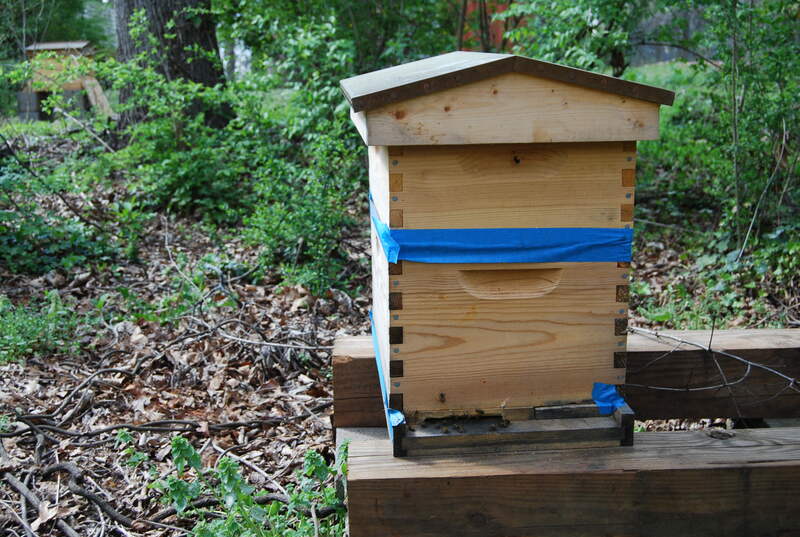 Here I have placed an entire branch across the front of the hive telling the bees that something has changed. On the next day, I noticed that a few dozen bees were still going to the old location. 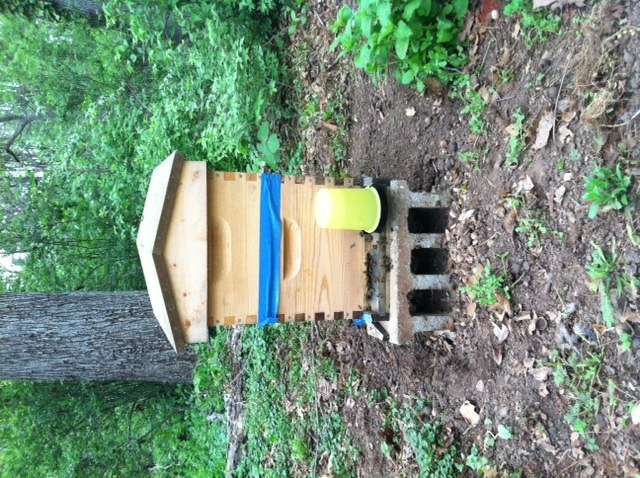 I decided to place a honey super and frames as a safe haven for the bees. It was getting late and it looked like it was going to rain. 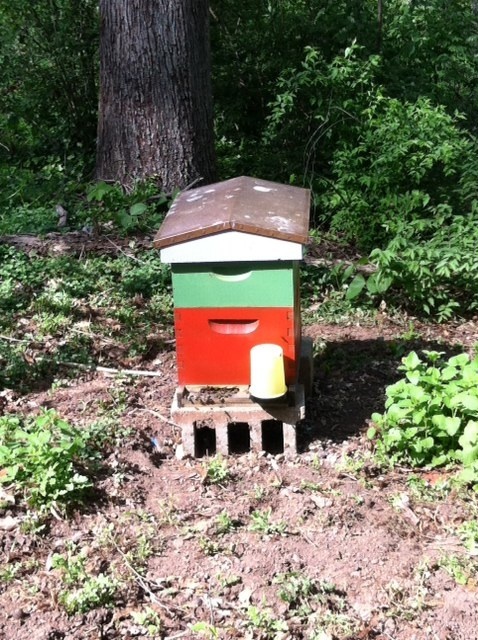 However, the following morning to my surprise only 5 bees remained in the make shift hive. Placed in old location for those bees that didn't get the memo! Finally! I removed the branch and all bees had been reoriented to the new location. But I didn’t stop there. Since it’s early in the season and I had already interrupted the bees, I went ahead and painted my hive and jazzed everything up a bit.